Having introduced extensive changes to the FW37 in Austria the team followed it up with a small change to their diffuser gurney / Y150 extension under the crash structure. As you can see the new gurney is much more refined, ditching the almost ladder inspired design from before. The central (silver) section now merges directly with the gurney, rather than the ladder intersersecting it, whilst the outer gurney extensions have been cut angles too, rather than featuring the square edge design they previously had. 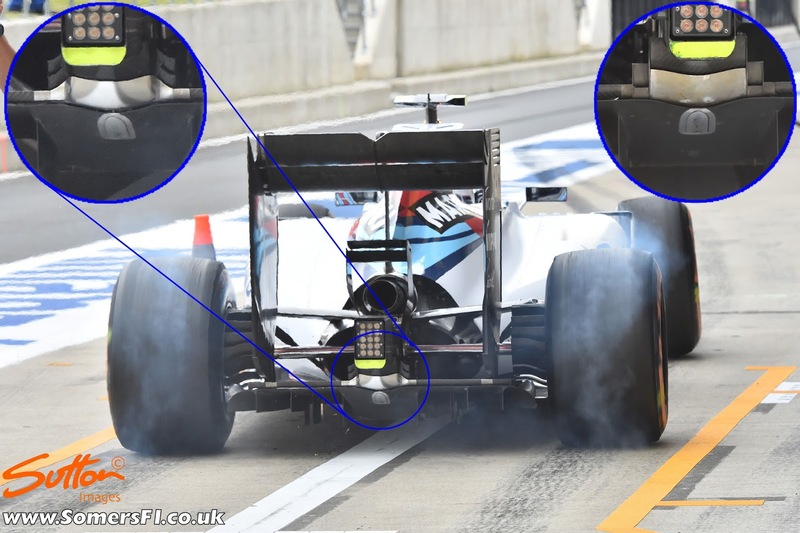 These changes have been made in order to maximise the interaction of the diffuser, exhaust and rear wing with the V cut out now placed in the FW37's top flap requiring a reshaping of the airflow structures below. Could you tell me what’s “burn out”?